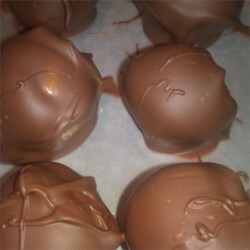 As far as I am concerned there is nothing better than chocolate and peanut butter so today I am sharing the recipe for some awesome peanut butter balls. Who wouldn’t love to see these on the table at their next Christmas party? Click on the photo for the complete recipe.